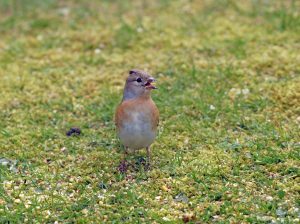 KINTYRE: Yesterday evening Alasdair Patterson cautiously identified a male Cirl Bunting at his garden feeding station at Port Righ, Carradale. It was feeding voraciously and was seen well at about 15 feet away with the black and yellow head markings and black throat seen well. No sign of it today despite a good search. Male and female Brambling, 70+ Siskin, 15 Goldfinch present – also a pair of Magpies recently. One Manx Shearwater off Skipness (Jim Dickson). MID-ARGYLL: Two Sandwich Terns sitting out on the mud at Loch Gilp early afternoon (Jim Dickson). 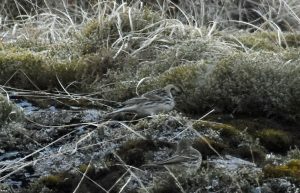 MULL: Bryan Rains found 2 Lapland Buntings at Glen More yesterday evening. A Common Sandpiper, on the south shore of Loch Na Keal, opposite Eorsa (Pete and Jan Hall per Alan Spellman) and another Common Sandpiper at Pennyghael this morning (Jim & Linda Hurles per Alan Spellman). ISLAY: A Magpie at Easter Ellister along with 5 Mistle Thrush, 4 Swallows and 1 Sand Martin (Mike Peacock). 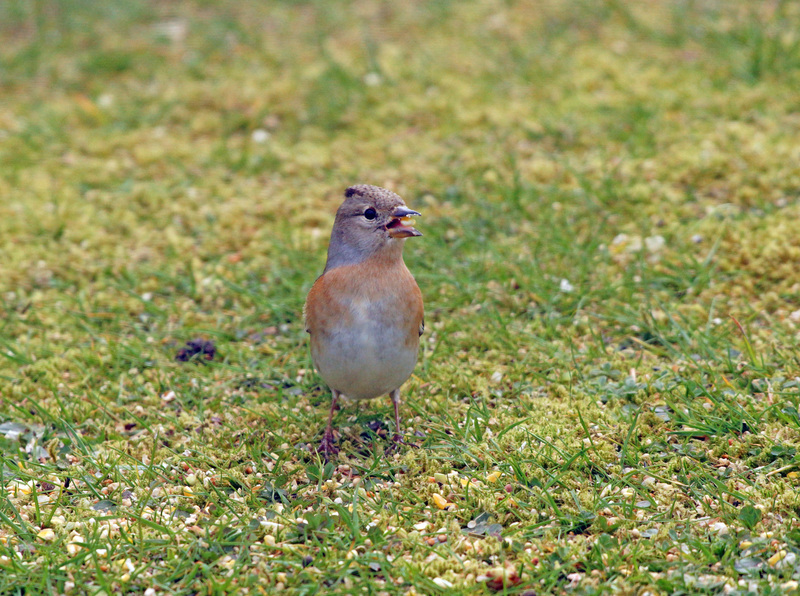 Brambling – Port Righ, Kintyre 12th Apr (Jim Dickson). Lapland Bunting – Glen More, Mull 11th Apr (Bryan Rains).